For further information, please go to their website: www.trustpremier.com or contact Patterson Sales, Inc. directly at 816-221-3322 for quotations or assistance with an application! The OMNI Door offers the distributor a fully engineered, reversible, non-handed door. Best of all, these doors are hot-dipped galvannealed and prime painted at no additional charge! The OMNI Door offers welded in flush top and inverted bottom channels. (Flush bottom channels available upon request.) Closer reinforcements come standard on all 18 gauge series doors. Tight mechanical interlocking edge seams provide improved appearance and performance. OMNI Doors take up half the storage space. Eliminate costly handing errors! Simply reverse the hinge filler plate and you’ve just reversed the swing of the door. Also available at the other manufacturer's hardware locations. Premier Fire Rated doors and frames are available with either Underwriters Laboratories, Inc., or Warnock Hersey International Labels. All Premier frames receive an embossed U.L. label which is stamped into the hinge jamb. "F" series embossed labels can be used on openings up to three hours when the proper anchors are used. "FE" drywall series embossed labels can be used in openings up to one and a half hours when the proper anchors are used. Click on the link below for additional information on U.L. embossed labels. 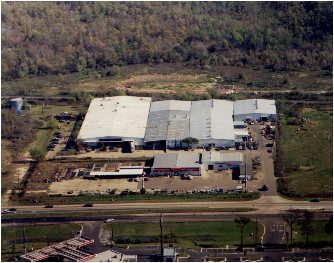 An industry leader and proud member of the Door and Hardware Institute (DHI),the National Association of Architectural Metal Manufacturers (NAAMM-HMMA Division), and the Construction Specifications Institute (CSI), Premier manufactures a diverse group of products for the building industry including hollow metal doors and frames, metal building door systems, and aluminum windows. The company also offers a complete line of related builder’s hardware items. Premier is widely recognized with a history that dates back to 1964 and is increasingly being specified by architects throughout the United States. Premier is a full line manufacturer capable of meeting almost any door and hardware specification. All doors and frames are quality engineered to meet the strict requirements outlined in HMMA 867 and ANSI/SDI 250.8. Premier’s doors and frames have also been tested to meet the specifications of Underwriters Laboratories (UL) and Warnock Hersey (WH) for fire ratings up to and including 3 hours in both positive and negative pressure. Additionally, Premier has tested a number of single and double door applications to meet the harsh windstorm requirements outlined by ANSI A250.13 as well as Florida test standards TA201, TA202, TA203, ASTM E1886, ASTM E1996, and ASTM E330. These units are certified by Underwriters Laboratories for use in the state of Florida under Florida Approval Number FL6378. Premier’s products have been supplied in hospitals, schools, airports, factories, warehouses, office buildings, condominiums, hotels, convention centers, fire stations, amusement parks, and many other projects as well. 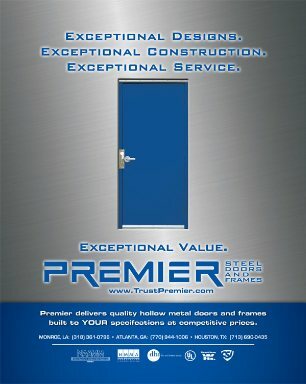 Premier sells “stock” hollow metal doors and frames through a network of distributors and dealers throughout the United States. Distributor modifications are available regionally to accommodate individual requirements and customer needs. Modification of fire rated doors and frames should only be performed by distributors licensed by either Underwriters Laboratories (UL) or Warnock Hersey (WH). Premier markets it’s oem line of metal building doors, frames, and windows to manufacturers of pre-engineered metal buildings. These door systems are tailored specifically to meet the needs of the individual manufacturer. Premier is a company committed to preserving it’s greatest assets, it’s employees and customers. Premier, we’re a partner you can trust.